FastrawViewer released Monochrome2DNG 0.8 for processing RAW files from monochrome converted cameras like the ones made by monochromeimaging.com they currently convert a variety of Sony full frame and APS-C cameras. This software creates a true monochrome RAW file from the color raw file. 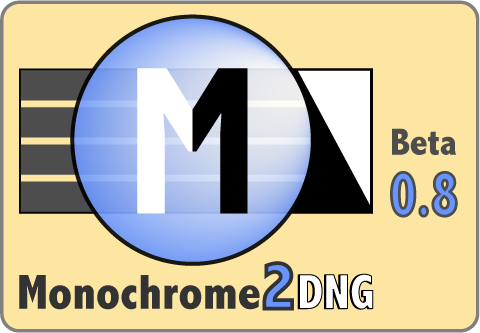 You can download Monochrome2DNG 0.8 here. This entry was posted in Software and tagged FastrawViewer, Monochrome2DNG. Bookmark the permalink. Trackbacks are closed, but you can post a comment.